A useful addition to the Poultry Keeper’s armoury as an aid in cases of feather pecking. The antibacterial tar seals the area allowing natural healing to take place and deters further attack. Simply apply with a small brush to the affected area. The tar will stick to the bird's beak that is doing the pecking and will give it something to do. It will want to remove he annoying sticky tar from its beak. 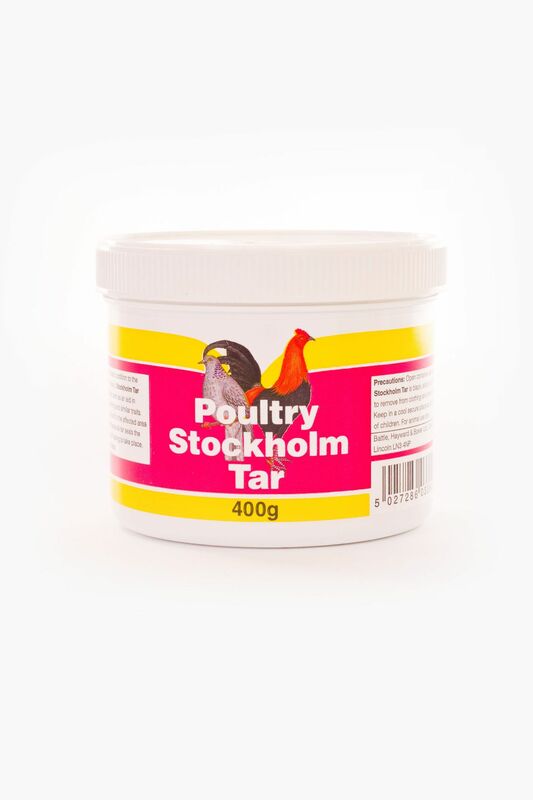 This will keep the dominant pecking chicken busy rather than continue to peck the other birds. Below are some recent questions we've received regarding Battles Poultry Stockholm Tar, including answers from our team. Please could you tell me if this is creosote free? Thank you. Creosote has been banned now, so this does not contain any.